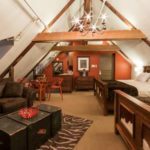 A few years ago during my winter visit to Quebec City, the party was in full swing in our luxury Québec City hotel when, suddenly, a colourful doll-like creature danced into the room. “Bonhomme! Bonhomme!” my Québécois friend exclaimed as a smile lit-up his face. White and roly-poly, with a red tuque on his head and an arrowhead traditional sash around his waist, he appeared like a living snowman as he pranced around, entertaining his audience. “Do you like our Carnival’s mascot?” my Québécois friend smiled. His question, was quickly answered by the merry crowd with their claps as they encouraged the jolly dancing Bonhomme. The bouncing Bonhomme was my first introduction to the winter Carnaval de Québec or Québec Carnival, a blow-out of fun, food and entertainment in the midst of the city’s cold winter days. Held during the first part of February, it is a fun way Quebecers outwit the harshness of winter, transforming the city into one massive outdoor party. It is considered the largest winter celebration in the world and the third largest carnival only surpassed by those held in Rio de Janeiro and New Orleans. 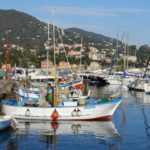 As has happened during the past six decades, in 2016, from January 29 to February 14, the Carnival’s 62nd year in motion will be celebrated in an accelerated flurry of winter fun, bringing a contagious joie de vivre to the city. A good part of this is no doubt due to Bonhomme, the heart of the festival, with his joyful spirit, friendly smile and playful antics that bring joy to children and the young at heart. For 62 years this renowned festival, drawing annually some one million visitors, held in what has become known as the ‘world’s snow capital’, has been generating jobs and a good deal of economic, social and tourism-related spin-offs for the city and the surrounding area. The Carnival has now become one of Québec City’s largest industries, creating direct economic returns in the millions, surpassing its organizers’ wildest dreams. Despite the cold and freezing temperatures of winter, tourists continue to flock to Carnaval de Québec for fun and enjoyment. 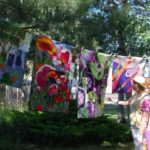 More than 1,500 volunteers, and some 400 activities and shows extend to visitors a festive experience full of competitions, concerts, parades, dances, fun, games and food in an aura of winter magic. Known as the ‘Mardi Gras in the Snow’, it is a joyous celebration, enjoyed by residents and visitors alike. Overshadowing all the carnival structures is the Bonhomme Ice Palace – first built in 1955 as a magical structure for Bonhomme, the Carnival’s guest of honour. It has become one of the most visible symbols of the Carnival and 1the centre point for many activities. Incorporating a maze of square, roof-covered turrets, at night, the imaginary-style medieval-inspired palace, located near the government buildings, becomes the home of a light show. The most colourful part of the Carnival are the brightly lit night parades. 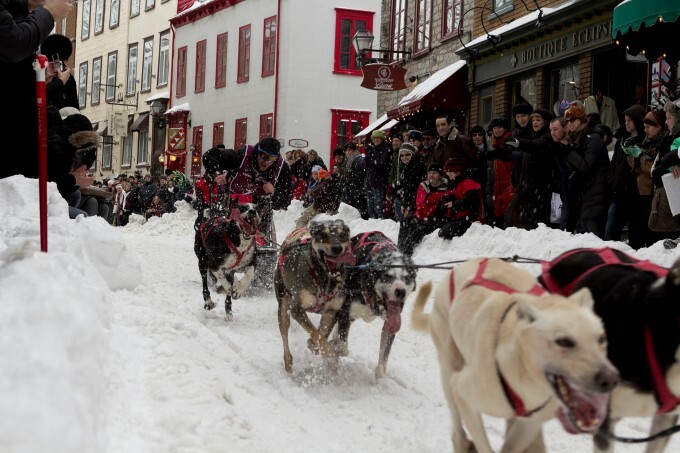 Every year some half a million spectators bundle up and line the snowy streets of the city. The parades feature fantastic colourful decorated floats, hundreds of characters, marching bands, and dance troupes. Even though it was freezing cold (about 6° C below zero) the night that I watched the parade, I could not believe my eyes when a band of young ladies marched by dressed in kilts. 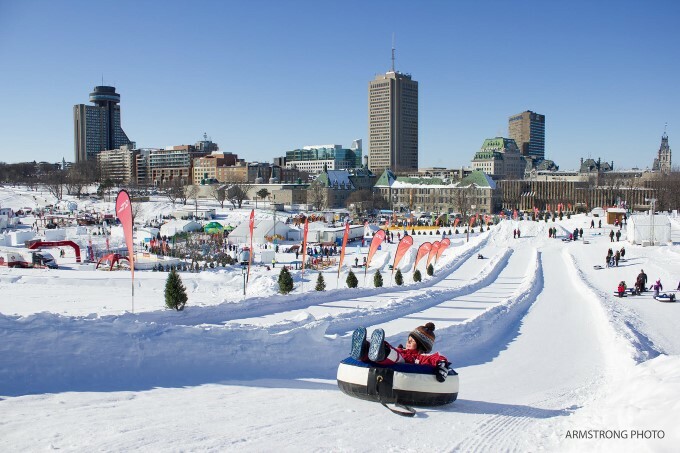 During the Carnival, the Plains of Abraham, where the British battled the French and conquered Canada, are transformed into the Bonhomme Winterland, a huge winter playground for families. There, visitors are greeted by massive snow sculptures fashioned by artists from around the world. To keep visitors happy, there are endless activities and events, mostly on the Plains of Abraham, such as: Bain de Neige or snow bath; snow slides and tobogganing, a very popular family activity; a children’s village play zone that offers a number of activities; and, as well, sleigh rides, dogsled rides, and various competitions on the snow, all while also enjoying the outdoor shows. However, this is not all… if you have a sweet tooth visit a Québec sugar shack; sip on Caribou, a feisty alcoholic beverage; savour Outdoor BBQ’s and delicious Beaver Tails sprinkled in sugar and cinnamon or enjoy a Calgary flapjack breakfast; participate in Bonhomme’s Brunch; watch the CMQ Canoe Racing competition, along with the St. Hubert Sleigh Race on Place George V; even stay in the city’s famous Ice Hotel for at least one night; dance in the snow and party under the stars; and, last but not least, attend the prestigious annual Ball, in 2016 the Queen’s Ball, at Fairmont Le Château Frontenac. Of course, one should not forget the exciting awards presentation of the Snow Sculpture Event. Each year when the Carnival is over, some of its officials, along with Bonhomme, embark on extensive tours throughout the world. This is bearing fruit. Every year visitors from around the globe increase dramatically. 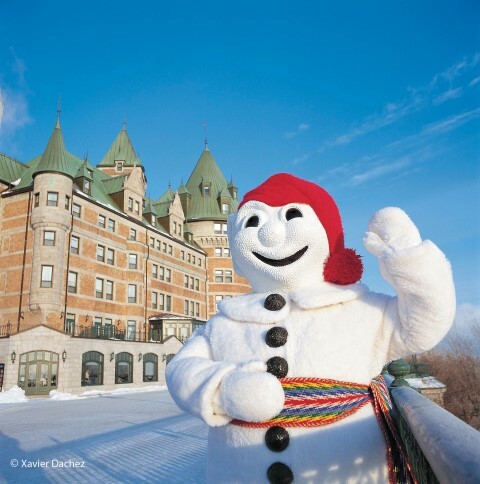 In early January, when winter drapes its fluffy white mantle on the province of Québec, Bonhomme makes a dramatic return to Québec city. The Mayor hands him the keys to the city and Bonhomme again reigns master until mid-February when the Carnival is over. There is little doubt that he provides the colour, warmth and excitement to make a visit to the Carnival an unforgettable experience. 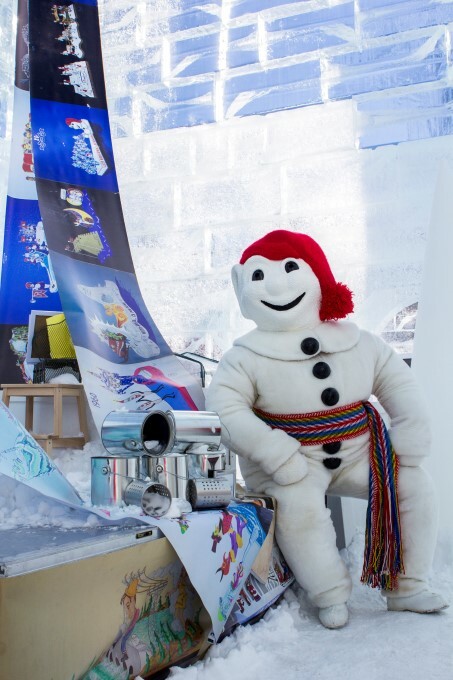 Le Monde de Bonhomme or Bonhomme’s World is a great welcome to winter and a winter sensation. Simply put, the Carnival and Bonhomme make winter fun. 2. 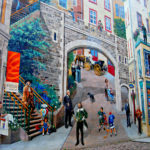 Shuttle and sightseeing Tours: Tours of Old Québec 1-800-267-TOUR. 3. The Bonhomme Effigy Pass, the main source of Carnival funding, for only $15 (CAD), will give the visitor access to 17 days of festivities (Family package-4 Effigies- $45 (CAD)). Other type packages are also available. Ticket sales begin in December and can be purchased online or at various vendors and outlets throughout the city. 4. To enjoy the Carnival, bring the proper clothing for sub-zero temperatures, bitter winds and nighttime activities. Habeeb Salloum is a Canadian author who grew up in Saskatchewan, joined the RCAF during the Second World War, and then worked for the Canadian Department of National Revenue for 36 years. 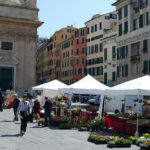 For the last 30 years he has been a full-time freelance writer and author specializing in food, history and travel. 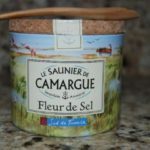 Besides 7 books and 20 chapters in books, he has had hundreds of articles about culture, food, travel, history and homesteading in western Canada appear in such publications as the Toronto Star, the Globe and Mail, the Western Producer, Contemporary Review, Forever Young, Vegetarian Journal and Saveur. Habeeb was awarded the 2013 Saskatchewan Tourism Travel Media Award by the Saskatchewan Tourism on April 10, 2014 for his literary work on travel, tourism and the culinary arts of that province.